1 Arch Duke Sir Megiddo sel Esdraelon of Mordengaard WL. Arch Duke Sir Megiddo sel Esdraelon of Mordengaard WL. 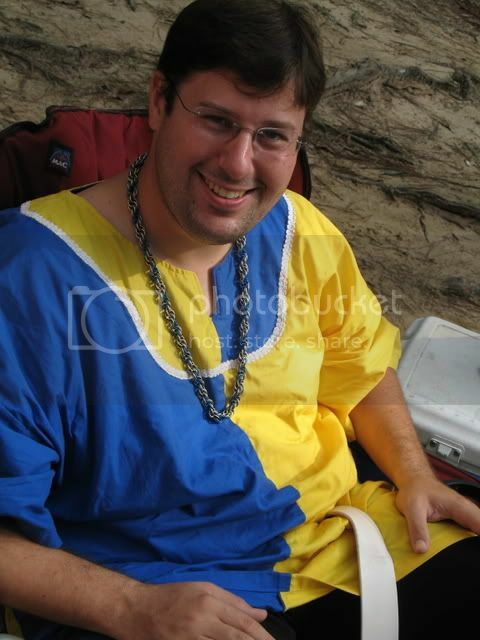 A member of Roger's Raiders. 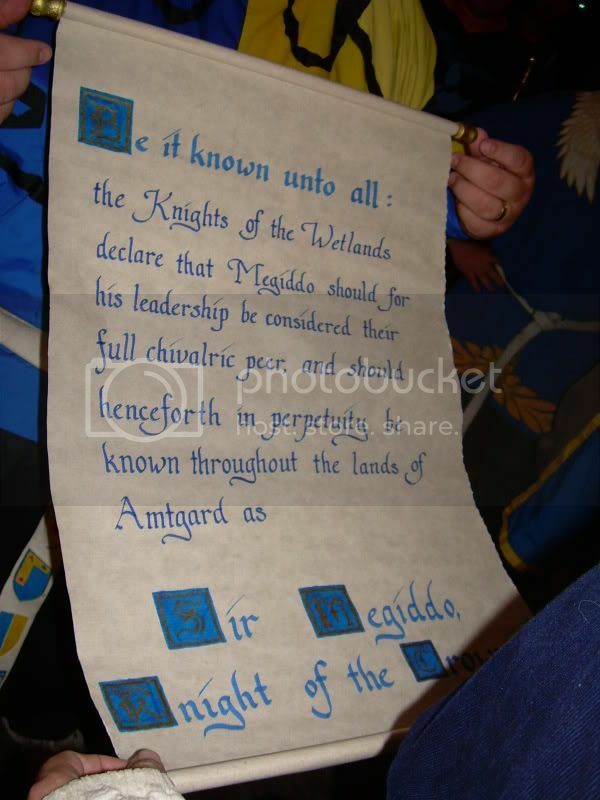 Sir Megiddo was paged to Baron Stoner when he was knighted a Knight of the Crown in the Wetlands. Baron Stoner is squired to Grand Duke Sir Morgan Ironwolf of the Emerald Hills. Sir Morgan Ironwolf was squired to Sir Fnord Farthing, who was squired to Sir Michael Hammer of God. Knight of the Flame at Banner Wars 2008 by Sir Morgan. Do not, at any time, choose to listen to any of his Peanut Butter Stories.